Self-noise in a microphone is important if the recordist is seeking to come as close as possible to making a clean, noise-free recording. But how does one read self-noise specs and what numbers are good and bad when making a decision on which microphone to use? It’s a slippery question, since many microphone manufacturers — especially for low cost condensers — don’t even reveal self-noise specs. That is usually for a good reason. “It is not cheap to make a truly quiet microphone,” a manufacturer once said. Also, some classic, high-end models from reputable manufacturers may have unique sounds and were great in their day, but by modern standards generate excessive self-noise. It is always important to read the self-noise specs before purchasing any microphone, regardless of cost. Shure's KSM 141 noise level A-weighted is 14 dB. Of course, no one wants a noisy recording, so some kind of evaluation must be made of mics before using them for recording. While a relatively noisy mic must be placed very close to the source to achieve an acceptable signal-to-noise ratio, a low noise mic offers the recordist much greater freedom of placement. In a white paper on the subject, Neumann said for condenser microphones, noise is usually specified in terms of “equivalent noise level.” A more common term is “self-noise,” as this is the signal the microphone produces of itself, even when no sound source is present. 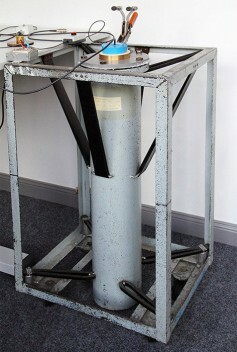 A sound proof chamber used to measure the self-noise of microphones. The proper way to measure self-noise is to put the entire microphone into a soundproof container. 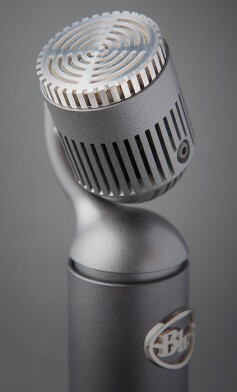 However, some manufacturers simply measure the microphone without the capsule. The latter method, we are told, offers better specs. Usually, self-noise is given in dB-A. The “A” stands for A-weighting, which is a method to simulate human perception. For instance, humans are much less sensitive to noise in the low frequencies than to noise in the mid-band, where the human voice resides. Reputable manufacturers give additional noise figures according to other (stricter) measurement standards, but most manufacturers will give A-weighted self-noise, which happens to be the measurement method that results in the lowest figures. If self-noise is not specified on a microphone, ask why. Blue Microphone's Hummingbird has a noise level A-weighted of 8.5 dB-A. Anything below 10 dB-A is extremely low noise, Neumann said. The exact figure is unimportant, as even a very quiet recording room will contribute quite a bit more ambient noise than 10 dB-A. In the very good range, 11-15 dB-A, recordists may be able to discern some very slight noise in critical applications. But usually, such noise is impossible to hear in the context of the whole mix. A range from 16-19 dB-A is good enough for most purposes. Some noise may be heard when recording relatively quiet instruments, but it’s usually unobtrusive. When a mic’s self-noise reaches 20-23 dB-A, it’s pretty high — especially for a first rate studio-quality microphone. This is an area where every decibel counts, because we’ve reached a noise level that’s clearly audible. Such noise figures may be acceptable when recording loud sources, but not for anything below speaking level. When self-noise climbs to 24 dB-A and above, the microphone is not worthy of being used for high quality recordings, said Neumann. This is the region where many bargain basement microphones reside. It should be noted that self-noise is normally for condenser models and active ribbon microphones. It is rarely specified for dynamic microphones or passive ribbons. That’s because dynamics and passive ribbons have no internal electronics and their noise performance is largely dependent on the preamp being used. Those ribbons with active electronics requiring phantom power have self-noise. As a rule of thumb, Neumann said, dynamic microphones using an ultra-low noise preamp reach self-noise figures of about 18 dB-A. Another way to document the noise performance, Neumann added, is to specify the signal-to-noise ratio. But relative to what signal? The reference sound pressure level for noise measurements is 94 dB (which equals a sound pressure of 1 pascal).